A1 Overseas International provides reliable auto shipping services to Myanmar! Get a FREE quote in minutes by calling 1-800-450-5319 or submitting the form! Not many of us are given the opportunity to live or stay in a foreign country. For those of us that are, it is always suggested that you have your private vehicle shipped through international auto transport services. A1 Overseas International is familiar with the process of auto shipping from the U.S. to Myanmar. They can successfully carry out the overseas import without causing harm to the vehicle. However, it will be your responsibility to adhere to Myanmar Customs regulations and to provide them with all of the obligatory credentials. The ability to travel and explore at your own free will. You can avoid language and currency barriers that are commonly associated with public transit in foreign countries. 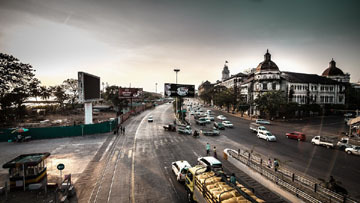 Your vehicle will provide an extra layer of security for you as you reside in Myanmar as a non-native. There are high costs associated with international auto transports, but these costs hardly compare to the comforts that having your own vehicle provide you with during your residency in a foreign country. To assure safe travels for your automobile as it sits atop a ship for days on end in order to reach its destination, follow the preparation requirements as directed by A1 Overseas International. These requirements are usually simple and can be completed within a few hours. By washing the automobile, emptying it of unnecessary items, assuring the gas tank isn’t over ¼ full, checking the fluids and tire pressure, and disconnecting the alarm system, you are properly preparing the vehicle for export to Myanmar. You may also be asked to create a list or to take photographs of all damage already suffered. Pick up the phone now and call 1-800-450-5319 for a FREE price quote and more information on international auto shipping services such as boat, motorcycle and car shipping! You can also fill out the form provided!